Yes americ brass is junk. Nothing but trouble and the junk brass bucket is where it gets to stay. Case walls too thick, was my experience. Besides all the hassle, it crushes your bullet diameter. Even if you "succeed" in loading it, expect poor accuracy, and leading. I once acquired 1000 once-fireds which included a dozen or so Amercs. I had seen on the internet that they are only good for recycling. I don't follow advice well and I tend to only learn from mistakes. 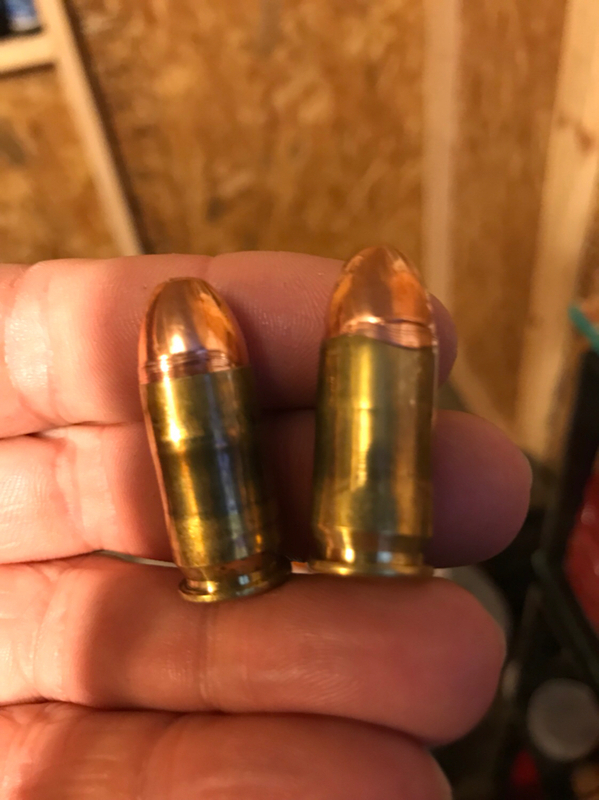 I have never found any of those Amercs but I just loaded some 45acp recently and i ran into MaxxTech brass which was doing pretty much the same thing walls were collapsing like that. Recycle bucket it is. The only others I have seen with this headstamp are 32 Auto. Not made to respectable tolerances. The only other caliber I have seen with this headstamp is 32 Auto. Not made to respectable tolerances.